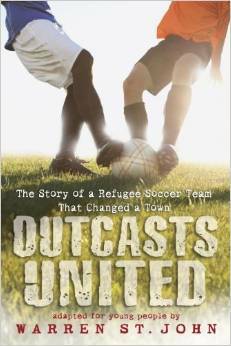 With conviction and skill, Jordanian Luma Mufleh established and coached three soccer teams known as the Fugees. Her players were haunted by memories of war-torn homelands and personal tragedies and were struggling to adjust to life in the United States. However, her high expectations and willingness to help families impacted her young players. Despite challenges to locate a practice field, minimal funding for uniforms and equipment, and zero fans on the sidelines, the Fugees practiced hard and demonstrated a team spirit that drew admiration from referees and even their competitors.